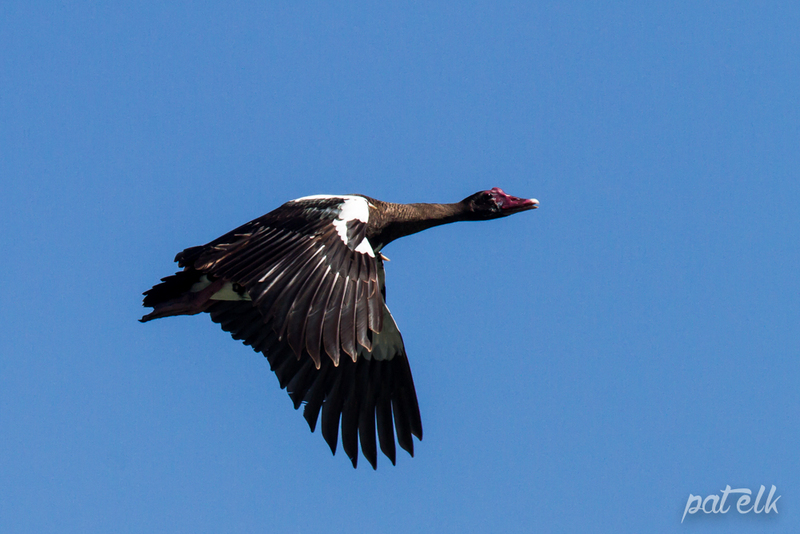 The Spur-Winged Goose (Afrikaans name, Wildemakou) is a common resident at wetlands and agricultural lands. The male has more fleshy red facial skin and wattles than the female and also gets a swollen head knob during breeding. In the flight photos you can clearly see the spur on the wings. They are often seen in huge flocks along with Egyptian Geese. Wow Pat! Your Wildemakou pics are brilliant! You captured him in majestic flight, awesome.